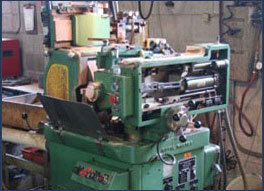 Wakeford Automatics' capabilities are truly both specialized and diversified. At Wakeford, you'll find a single source of responsibility for all your machining needs, from initial request for quote to the machining of castings and raw materials, to assembly and packing. 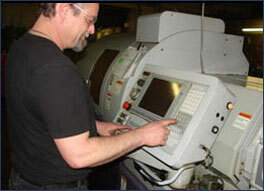 We have over 10,000 square feet of space housing a complete lineup of state-of-the-art machining equipment. In addition to our expertise in production and secondary machining, we offer and support one-piece prototype machining through full production runs. We manufacture a wide range of precision parts using steel, brass, stainless steel, plastics, zinc alloy, copper and aluminum. Our process includes emailing or faxing your design print to which we will respond within 48 hours. Then we will provide you with a quote and assuming the quote is acceptable, a P.O. will follow. 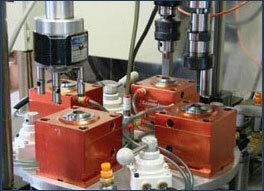 Upon receiving the P.O., we will order the materials necessary to begin machining your part. We will maintain continuous contact with you, our client (see testimonials) to ensure all details are communicated and understood by our team. Upon completion, the part will be shipped and followed up with a call to ensure total satisfaction. MIYANO CNC SCREW MACHINE BUFFALO 15" BENCH MODEL DRILL PRESS, BLACK & DECKER DOUBLE-END 3-SPINDLE VERTICAL MILLING MACHINE - Tapper "4"
Capabilities are truly both specialized and world class leader in precision machining Contact Us Today!